The Funds To Phones platform allows you to have complete control of which users access what features. By controlling which users can make transfer requests and create other users, you can implement a hierarchy within the Funds To Phones platform that mirrors your current paper-based authorization procedures. 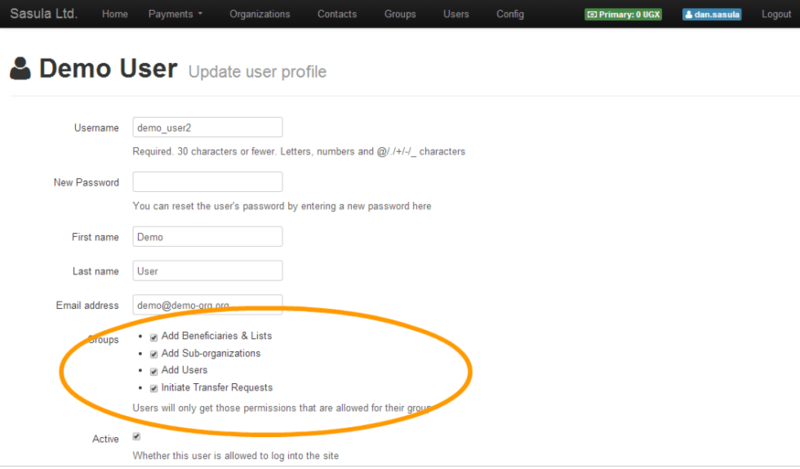 Defining User Access levels is done within a user account or when adding a new user. 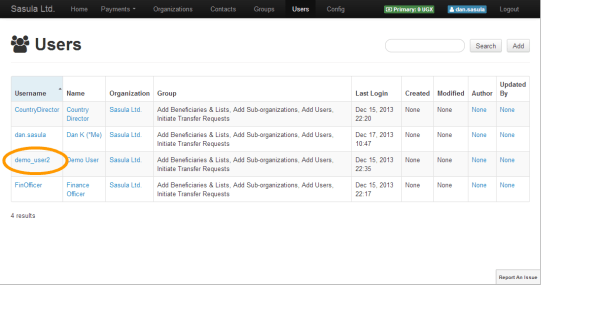 Add UsersChecking this function will allow this user to create other users of the platform. This permission should be set for users who have the authority to not only make transfers, but allow others to make transfers. Initiate Transfer RequestsChecking this box will let this user schedule transfers from the organization account out to contacts.